Legend Amrapali necklace from the Enamel Icon Collection. Polished 18-karat yellow gold chain, hardware and settings. Faceted round white diamond; 0.0085 total carat weight. 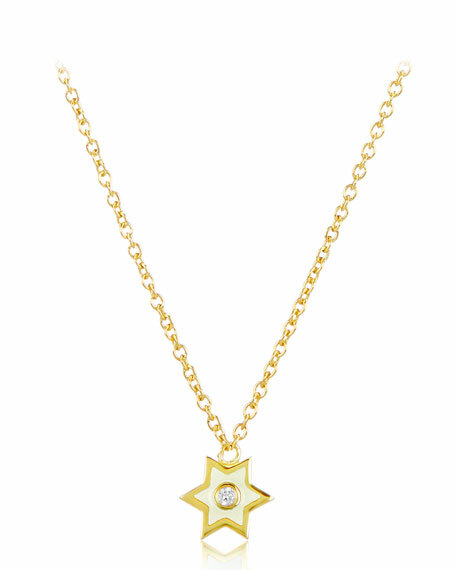 Star-shaped pendant with white enamel and diamond. Approx. 16"L; 2"L extender chain. For in-store inquiries, use sku #2648684.